NYC, 04/19/2019, 2:00PM. 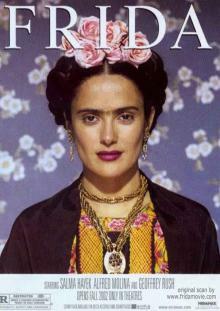 Frida (2002): Two Time Oscar Winning Portrait Of The Famous Artist Starring Salma Hayek. 123 min. Director: Julie Taymor. Starring Salma Hayek, Alfred Molina, Geoffrey Rush. Frida received six Academy Award nominations and won two Academy Awards for Best Makeup and Best Original Score among six nominations. The American Film Institute included Frida in their Movies of the Year 2002, Official Selection.